Hair tourism in Turkey is a booming industry that is reportedly worth an annual £700m ($1bn). Over 200 hair transplants are carried out each day in Turkey, most of these on foreign visitors, who account for the 5,000 patients that walk through the doors of Turkish hair clinics each month. There are 350 hair clinics in Istanbul alone, where you can get all the latest hair transplant surgeries for much lower prices compared to prices in the U.S. or even Europe. Although most patients arrive to Turkey from the Gulf region, hair clinics in Turkey have been steadily developing a European customer base as well, with Italian, Spanish or British nationals turning their hair transplant trip into a holiday. It is not at all uncommon to see men with gauze around their heads visiting the city or its museums. Locals are already unfazed by these strange occurrences since for them these are an everyday sight. Turkey’s appeal to foreign customers looking for a good deal on a new head of hair is understandable. Geographically speaking, Turkey is conveniently located, especially for a European clientele. Overhead costs like rent and wages are much lower in Turkey compared to overhead costs in the UK or other Western European countries. These low overhead costs make it possible for Turkish hair clinics to offer their services at a price that is much more affordable for the budget of U.S. or British nationals. A follicular unit extraction procedure that in the U.S. would cost between $15,000-$25,000, in Turkey can be as low as $1,700-$2,000. This enormous difference can make the trip to Turkey a worthwhile investment. 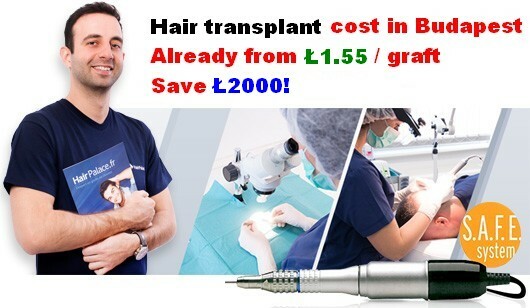 Compared to hair transplant prices in the U.K., prices practiced by hair clinics in Istanbul allow Britons to save up to 60-70% on their hair transplant surgery. Thus, it is not at all surprising that hair tourism is thriving in Turkey to the extent that it has become the top destination in the world for hair tourism. How about cost vs quality – Value for money? 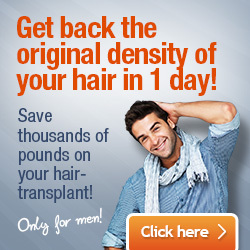 While the prices are definitely worth the trip, can the same be said about the quality of the hair transplant services? With so many hair clinics dotted around the country there’s bound to be a few bad apples. However, as with any private practice, you’ll have to vet the clinic before you rush into the whole idea of hair tourism. You can do this by reading reviews on the internet, getting in touch with the hair clinic to discuss any concerns or questions that you may have. Some hair clinics have hair transplant packages that include airport transfer, accommodation, consultation, as well as the hair transplant procedure itself. While in Turkey, you can take a few days to visit the sights and give proper meaning to the term hair tourism. The noticeable difference in pricing is ultimately what drives thousands of balding or bald men to fly to Turkey and become hair transplant tourists. For some patients, not even distance seems to factor into their decision to go abroad for the prospect of returning with a more luxurious head of hair.